Fully adjustable Hi-Viz webbing dog collar with quick clip fastening. Features fully removable neoprene sleeve with integrated LED lights for optimum comfort and visibility. Choose from three different lighting sequences, operated by a simple push button. Collar can be worn with or without neoprene sleeve according to weather conditions for versatility. Machine washable. Battery life 40 hours. 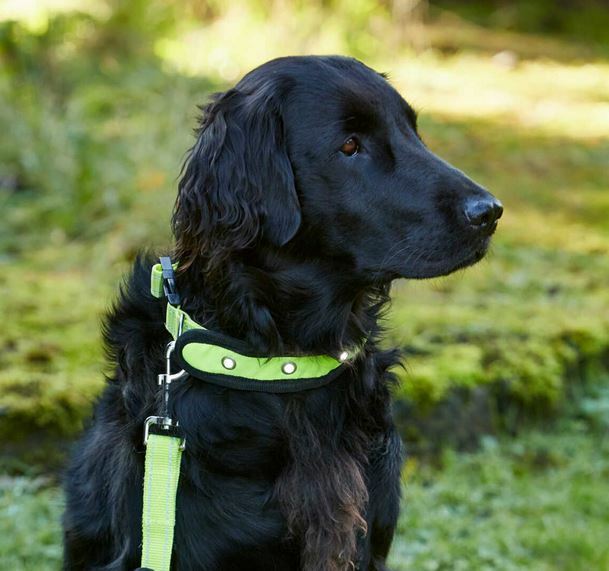 There are currently no questions for Woofmasta Hi Viz Flashing Dog Collar - be the first to ask one!